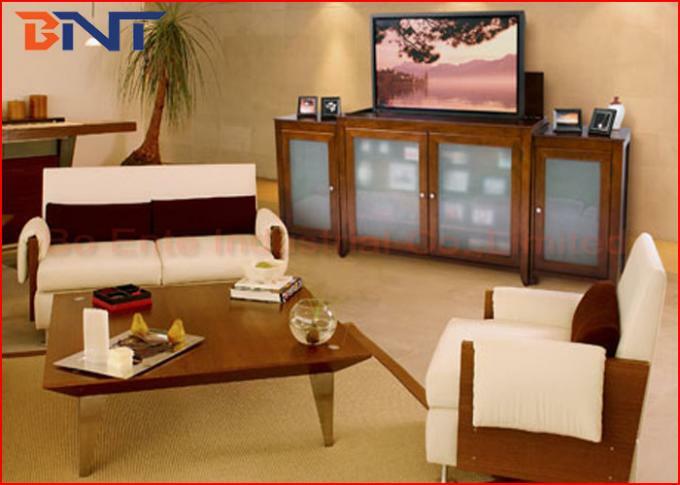 Motorized TV lift adopt powerful motor with asynchronous resistance-brake. 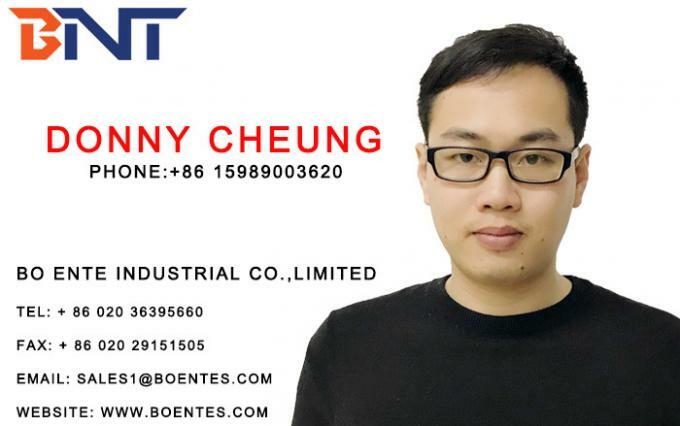 It possesses the character including attractive appearance, smooth moving, quite, locating with precision, comprehensive, functions and installation convenience, simple operation and high capacity. 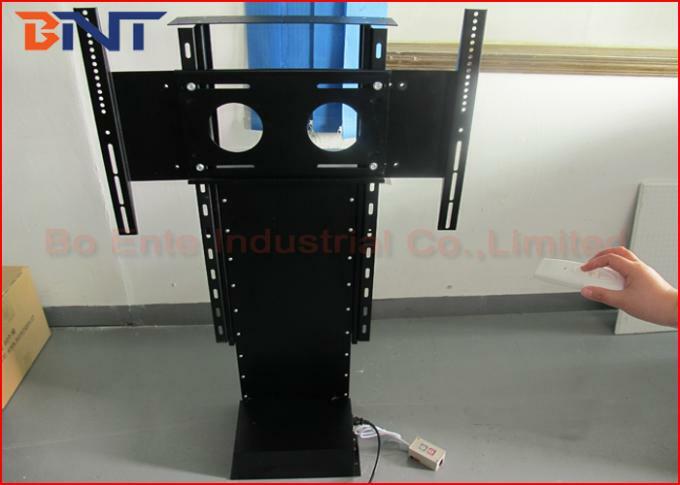 The lifting mechanism could mount the TV raising up from bottom to the topside of TV cabinet, and moving down into the bottom of cabinet if finished using TV. 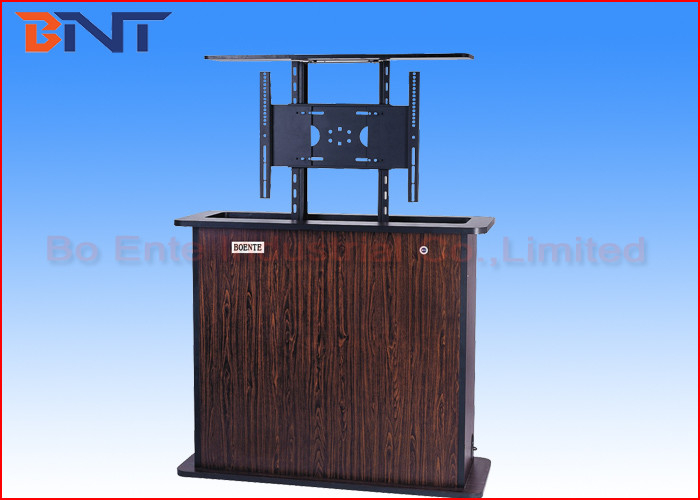 Motorized TV lift is rich in controlling seems that can connect the button directly to control the TV lift machines by central control and single control. 1, Adopt Synchronous machine with electro-magnetic brake. 2, Traveling with double orbits, moving smoothly and quietly. 4, Exterior Design: Unique and attractive appearance.